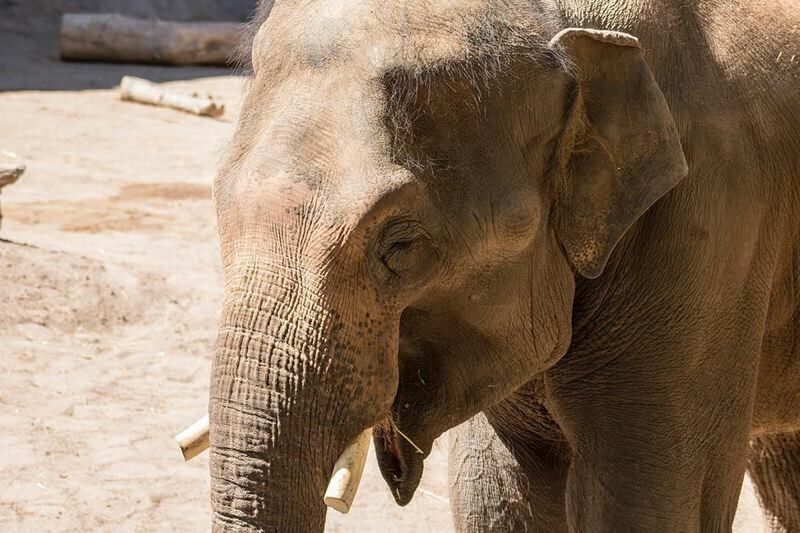 Samson, who arrived in Portland this week from ABQ BioPark Zoo in Albuquerque, will be isolated from the herd for several weeks as caregivers gradually acquaint him the rest of the local elephants. The Oregon Zoo's elephant herd welcomes New Mexico transplant 19-year-old Asian elephant Samson this spring. Samson, who arrived in Portland this week from ABQ BioPark Zoo in Albuquerque, will be isolated from the herd for several weeks as caregivers gradually acquaint him with Samudra, Rose-Tu and the rest of the elephants. Samson could be seen in public for the first time in May, according to zoo staff. Samson was born May 4, 1998, at African Lion Safari in Ontario, Canada. He was moved to ABQ BioPark in 2003. The Species Survival Plan for Asian elephants recommended that Samson be transferred to Portland, according to zoo staff. "We're very excited to have two Sams here," said Bob Lee, the zoo's elephant curator. "The timing is great because our young male, Samudra, is maturing into an adult bull, and he could benefit from the companionship of an older male." Lee hopes that Samson also will hit it off with Rose-Tu — mother to both Samudra and Lily — which might add to the zoo's Asian elephant population. "Over the years, we've learned the importance of family and connection as a critical part of an elephant's full social life," Lee said. "Belonging to a multigenerational family and participating in the raising of young — with male elephants coming in and out of the herd at different times — stimulates and motivates each member of the herd physically, emotionally and psychologically."